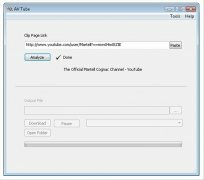 AV Tube is a video download manager that works with many websites such as YouTube and similar, that stands out for its simple interface and ease of use. The quickest and easiest way of downloading videos from YouTube. All you need is the video's URL to download it to your PC. After analyzing it, the "Output file" options at the bottom section of the page will become visible. Choose the folder where you want to store your file and the quality you want to save it with, and you're done. Compatible with YouTube, Metacafe, G4TV, Vimeo, Vodpod, Blip, LiveLeak, Godtube, That Video Site, Bofunk, Break, Daily Haha, eBaum's World, Blinkx, Mediabom, Dailymotion, StreetFire, TCMag and Facebook. Download videos in FLV, MP4 formats, or HD video. Check video properties before downloading. Analyze each link to check availability. Download your videos with the right quality for your player and enjoy them at any time. 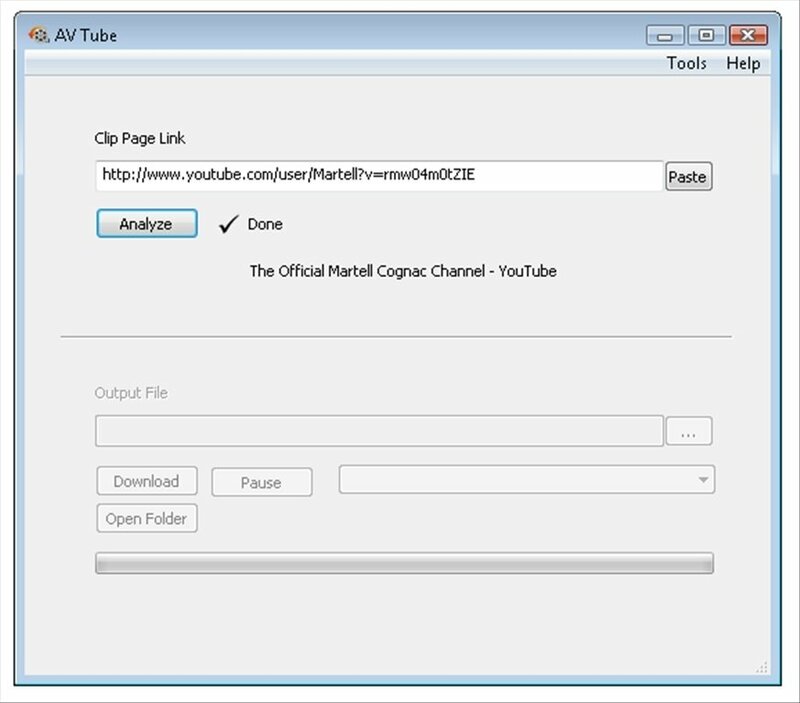 Download AV Tube free to obtain videos from the most popular websites. To use the software you must obtain an activation code from . AV Tube only offers partial support for some sites.